The Americana Music Association unveiled an additional 30+ artists to its 16th annual AmericanaFest lineup this week. The festival will offer more than 170 official showcases across more than a dozen Music City venues including newly announced performances by Glen Hansard, Jewel, Hot Rize featuring Red Knuckles and the Trailblazers, Jay Farrar (performing songs from Son Volt’s “Trace”), Buddy Miller & Marc Ribot, JD McPherson, Parker Millsap, Joel Rafael, Nellie Clay, Madisen Ward & The Mama Bear and the Watkins Family Hour. The 2015 AmericanaFest will take place Sept. 15-20 in Nashville. 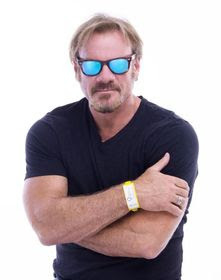 Country singer/songwriter Phil Vassar is showing his support of the Children’s Miracle Network Hospitals with an official CMN Hospitals’ Miracle Band. By wearing this wristband, Vassar has joined celebrity spokeswoman Jennifer Lopez along with Lady Antebellum and Sir Paul McCartney, in showing a commitment to give kids every chance to live better and support the organization’s work and the families affected by childhood illness. Country Music Hall of Fame singer-songwriter Jimmy Fortune will unveil some unique collaborations on his upcoming album, Hits & Hymns, out Oct. 23 on Gaither Music Group. Vince Gill, The Isaacs, Dailey & Vincent, The Oak Ridge Boys, Ricky Skaggs, the Gaither Vocal Band and The Whites have all recorded for the project. 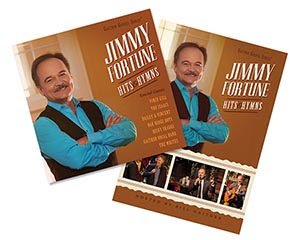 The album coincides with a special edition DVD, Jimmy Fortune: Hits & Hymns, hosted by Bill Gaither. 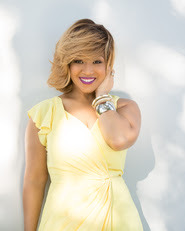 The Gospel Music Association (GMA) has announced that singer-songwriter Erica Campbell, the five-time Grammy winner and WEtv star of the hit show “Mary Mary,” and New York Times best-selling author Sadie Robertson as the co-hosts for the 46th Annual GMA Dove Awards. The Dove Awards will take place on Tuesday, Oct. 13, live from Allen Arena on the campus of Lipscomb University in Nashville, and will air exclusively on the Trinity Broadcasting Network (TBN) on Sunday, Oct. 18 at 9 p.m. CT.
Additionally, the Song and Songwriter of the Year categories were announced.